Couture is less and less each year. Will it ever come back? Will we miss it if it goes away? Is it sustainable? It feels like many designers have taken the drama and theatre once reserved for the couture world into Ready to Wear. The opulence no longer reserved for bespoke. We see conceptual collections on the Fall and Spring runways as a matter of fact these days which kind of leaves the couture world out to dry. There was a time where Ready to Wear was strictly business, but an evolution – perhaps a revolution has begun and there seems no way around the inevitable. So let’s revel in the hand labored glory and decadence before it is gone forever. (At least in the commercial houses) Perhaps there will be personal designers hired by those who can afford it to make custom wardrobes, then we will have come full circle won’t we? I mean, we have boutique cheese shops now right? Full circle. This was less of a collection and more of a showcase. Perfect for couture. A wardrobe – I love when the designers do this because you get a full portrait of the customer. In this case literally as the models are likely customers who have been photographed beautifully in impeccable fantastical gowns. I would pay money to see what happens with those beads on the first dress when she moves. 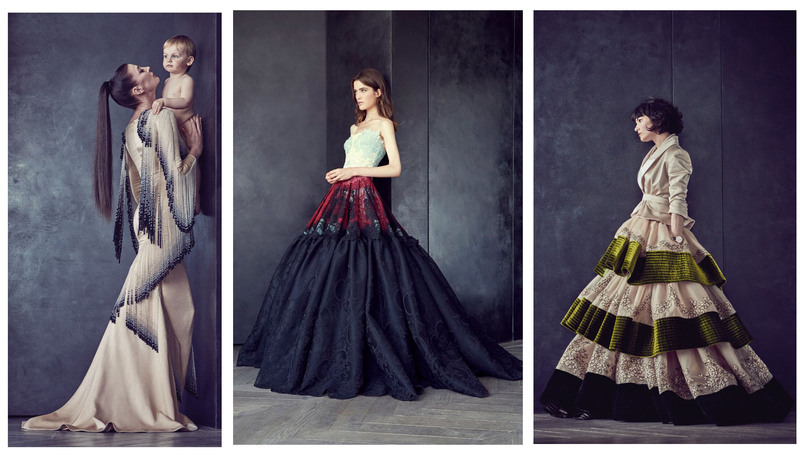 Here is an example of a designer who has taken the look of couture to Ready to Wear. Saab’s gowns in this collection would fit into any of his Ready to Wear groups easily. There is only the difference of the work involved and naturally the resulting cost. 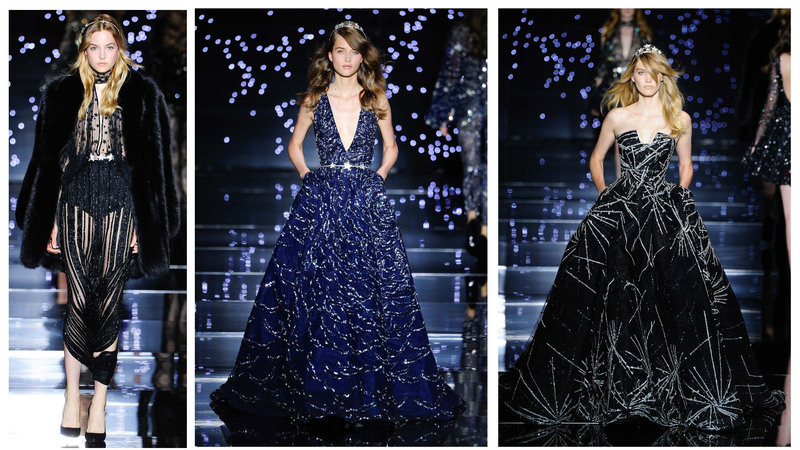 These are all beautiful gowns which will hopefully never be worn by a real housewife yet that seems inevitable too. I had to include these detail shots because they are just so beautiful and artisanal. The last shot appeared in my pinterest feed and I was blown away by that cloudlike silhouette. Schiaparelli has become my hands down favorite couturier over the years. The back catalog of the house is intoxicating and full of surrealism. They stay true to the house and always offer some playful surrealist nods which are much appreciated, while also making modern costumes for extremely exclusive and damn lucky women. There are moments of ooh and ahh’s that are truly earned here. I feel bad saying it but I don’t think Valentino has ever been better than it is now. This collection is more of a full offering which seems crazy and downright foolish in this economic environment yet they do it every time. There were 59 looks in this collection. That’s a lot for a Ready to Wear collection let alone couture. They must be killing it financially to sustain this. Good for them – the clothes are truly special and I have said many times that they are the new vintage pieces. Designed for today, tomorrow, the future, the past. These are heirloom garments. The first group was my favorite featuring the Greco Roman Velvet gowns and jewelry. Audrey Hepburn could wear these as easily as your friends’ stylish Mother. The latter of the group aren’t as accessible and go back to that couture as costume idea but the they are stunning and exotic and luxury personified. 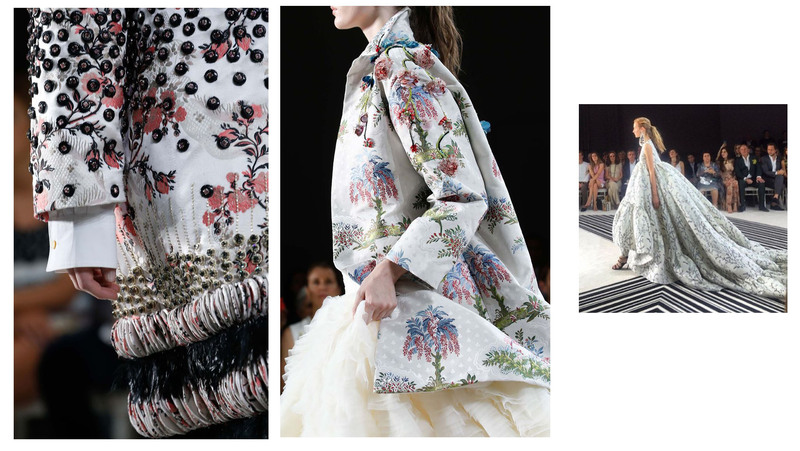 Another example – like Saab – of a designers whos couture looks and RTW could be interchanged. The theme here was celestial and at times got a bit too Disney for me. These three felt the most successful because they didn’t get too tied to the theme. These three evolved into inspired and inspiring. 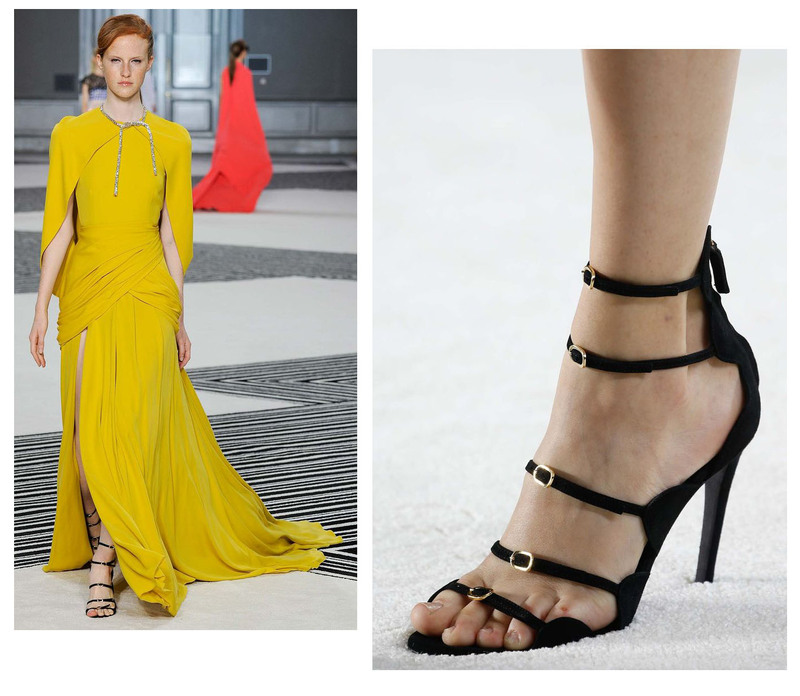 This entry was posted on Saturday, September 26th, 2015 at 4:06 pm	and tagged with Alexis Mabille, Couture, Elie Saab, Giambattista Valli, Schiaparelli, Valentino, Zuhair Murad and posted in Women's Fashion. You can follow any responses to this entry through the RSS 2.0 feed.